I had a little bit of trouble fitting this into the 'Aerocool StrikeX-GT' case. But it was all well worth it. It runs very quietly, and keeps the cpu temperature around 60 C when under heavy load. Quiet when idle, very effective when performance is needed. One of the first fully closed loop water coolers and the first with a variable cooler. 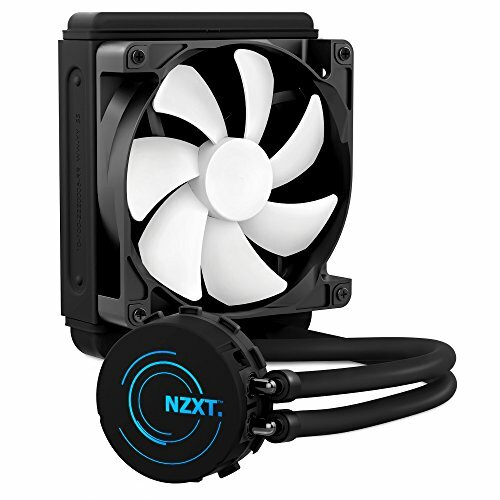 The radiator is only 120mm yet it's one of the best coolers you can buy, anything better than this is slight overkill. It's price is very reasonable. 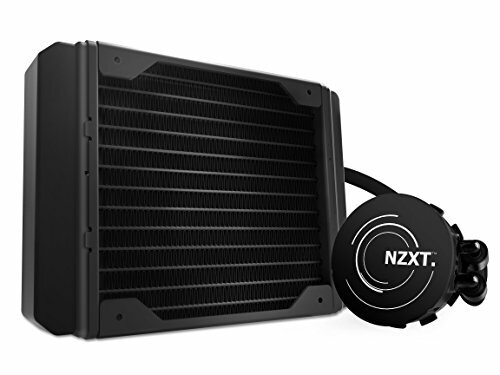 The NZXT Kraken series has to be one of the best on the market. I gave this 3 stars for a few reasons. First I would like to say that this thing performs very well. 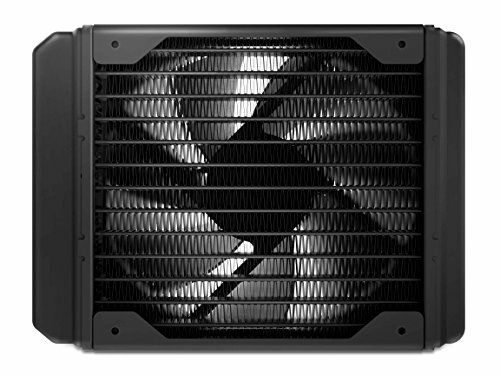 Especially considering its price range and it being a single 120 x 120 mm radiator. However, it's pump is very loud. It is literally the only thing I can hear coming from the case. It has got a little better after running, (air not being circulated through the pump). The second thing would be that the pump top does not include the LED feature, which apparently only comes with the other Kraken models. Overall it is not a bad buy as it does perform well, but as I was going for a silent build, so it will not receive high marks from me. So if you don't care about noise it is a good purchase. Easy install but instructions are a lot better on the website. This bad boy is possibly the best bang-for-buck AIO. It was a breeze to install and works like a charm. keeps the cpu cooled. 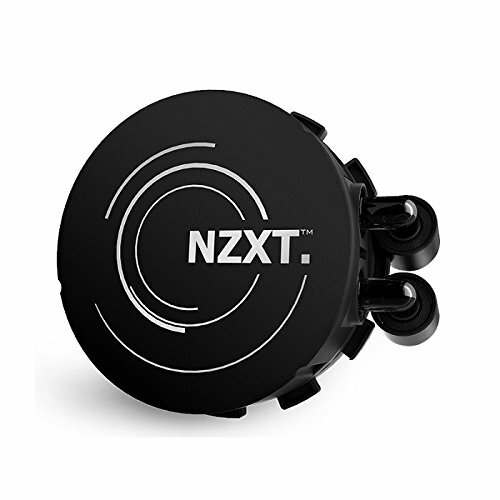 The CAM software from NZXT makes a really good product even better. Its keeping the CPU cool enough (although I'm yet to push it really hard, so we'll see). The pump itself is quiet most of the time but does rattle occasionally. Replaced the fan with the Corsair AF120 White for looks. Probably mistake as its a tad noisy. CAM software is pretty but not amazingly functional. 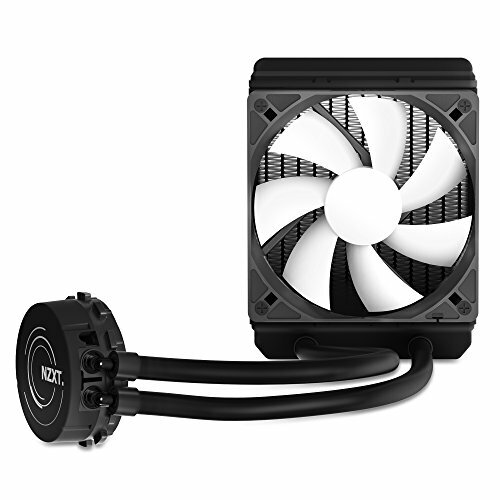 I was thinking of buying CM EVO 212 but with some research I learned that air cooler might not be enough for k series CPUs sometimes.Corsair product reviews was terrible and with my NZXT case I thought it would be good combination.It does its job,my cpu's idle temp is 25C and never goes above 55C at load.NZXT provides great control over your system and cpu cooler via CAM software so you can customize its rpm's and performance. great cooler to look at, and does the job oh-so-well... only giving 4 stars as i had issues with the drivers not being recognised/installing on first boot up. also support from nzxt was a little slow, but workaround worked a treat. Chose this over everything else as it just seemed performance and value for money were 2nd to none.. very happy in the end.